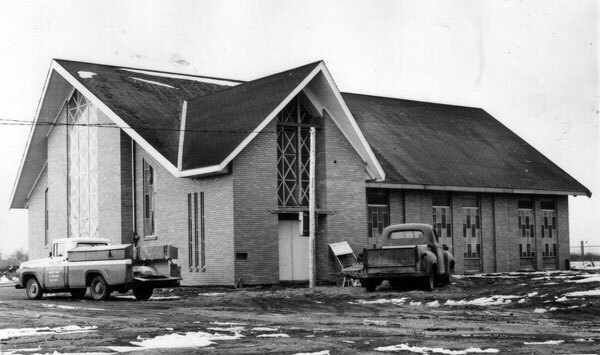 Faith Mennonite Church, Leamington, Ont., is celebrating its 50th anniversary this year, but its memories are tinged with sorrow as the new congregation grew out of a painful church split. 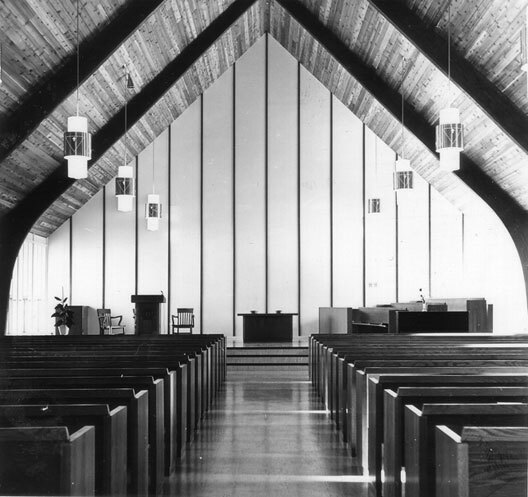 In the late 1950s, Leamington United Mennonite Church, like many other Mennonite congregations, was experiencing deep division about whether the language of worship should continue to be German or switch to English. After years of bitter debate, the families who believed that English was crucial for the faith development of their children began a separate congregation in 1961. For many German-speaking “Russian Mennonite” churches, the 1950s and early ’60s were very turbulent years, as both sides passionately believed that the church would crumble if their language of choice did not predominate. Although some congregations managed to manoeuvre their way through difficult waters, many congregations divided. In most cases, the new congregations used English as their primary language for worship. St. Catharines United Mennonite Church, Ont., began an English-language Sunday school class in 1954, scheduled after the worship time. But a significant number of members were opposed to the use of any English—even in Sunday school—and a vote at the subsequent annual meeting in January 1955 determined that the class would be closed down. Those who had longed for at least some English at church were exasperated and soon began meeting as a new English-worshipping congregation, subsequently known as Grace Mennonite Church. In his description of this language struggle in The History of Grace Mennonite Church, published in 1981, Randolph Lepp explains that, for some Mennonites, their beliefs were virtually merged with the German language. In many families, the older generation believed the use of English meant abandoning the faith, while the younger generation believed that insisting on German would cause the church to wither. If comments like these were expressed in the congregations, it is not surprising that painful church divisions ensued. Many of the older-generation “Russian” Mennonites had arrived in Canada in the 1920s. By the 1950s, their children and grandchildren were often more comfortable in English than German, and they were pushing for at least some English for worship and Sunday school. The older generation resisted strongly and their position was reinforced by German-speaking immigrants arriving throughout the late 1940s and ’50s. For generations in Russia (Ukraine), the Mennonites had lived in closed communities where their German language kept them separate from the broader culture. The Mennonites who migrated to Manitoba in the 1870s maintained a German-language culture. The first generation in Canada after the 1920s also found that the German language helped to maintain a segregated Mennonite religion and culture. It was for this reason that the idea of abandoning the German language felt not only like a rejection of the faith, but virtually sacrilegious. Meanwhile, the younger generation grew increasingly frustrated by the resistance to adopting English. The experience of the church in St. Catharines was repeated many times across the country. Among the many new congregations that began as churches split over this issue were Grace Mennonite, Brandon, Man. (1954); Grace Mennonite, Steinbach, Man. (1959); Grace Mennonite, Winkler, Man. (1961); Faith Mennonite, Leamington, Ont. (1961); Altona Mennonite, Man. (1962); and Bethany Mennonite, Virgil, Ont. (1964). Other congregations struggled on without dividing, as English slowly took over as the language of worship. By 1956, a survey of Canadian Mennonite churches showed that 55 percent were still using German Sunday school material, but across North America there was too little demand to print the material in German. German-speaking churches in Canada worked together to translate and print curricula in German, according to a front-page story in the April 27, 1956, issue of The Canadian Mennonite. In some churches, English sermons were added to the service, with hymns in both languages. Other churches had separate English and German services at different times. Often, Sunday school classes were divided into German and English, but there were also discussions about whether Sunday school was a proper time to teach the German language. Sargent Avenue Mennonite Church, Winnipeg, Man., began introducing English in 1967, and 20 years later congregants divided into two separate worship services. As the number of German speakers declined, the church decided to end the German services and a final service was held in June 2009. A few other churches, like Steinbach Mennonite, have had increasing numbers attending the German service due to recent immigrants from South America. 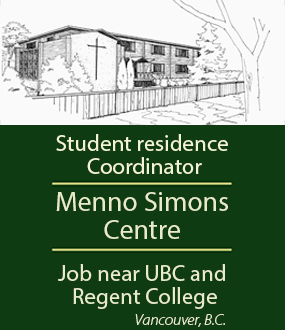 In B.C., West Abbotsford Mennonite Church was slowly adopting English, and so to accommodate German-speaking post-World War II immigrants, Eben-Ezer Mennonite Church began in 1963 as a German congregation. 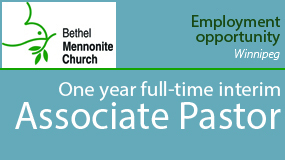 In 1980, Emmanuel Mennonite in Abbotsford began as an English-speaking daughter congregation of Eben-Ezer. Springfield Heights in Winnipeg is also a congregation that began in 1964 as a German-speaking congregation. These divisions were more amicable than the difficult partings of the 1950s. The transition from German to English seems to have been especially traumatic for Russian Mennonite churches during this period, but all Mennonite migrations have resulted in similar challenges. Harold S. Bender, writing for Mennonite Encyclopedia in the 1950s, suggests that refusing to adopt the language of the surrounding area helps a group to maintain its solidarity and its sense of being different from the people around them, but when part of the group becomes assimilated, serious problems result, with at least two generations of confusion and turmoil. The “Swiss” Mennonite churches first struggled with the language problem more than a century ago. When Mennonite settlers arrived in Ontario in the early 19th century, they worshipped in their Pennsylvania-German dialect, using High German for Bible reading and hymns. 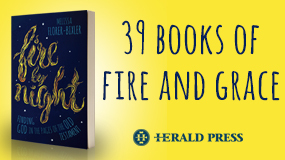 By the mid-1800s, Mennonite children were educated primarily in English and soon there were rumblings of dissent against the old-fashioned German-language ways of worship. Language was not the major issue in the Old Order split of 1889, but it was a contributing factor. The “Swiss” Mennonite churches of Ontario gradually adopted English for worship over a couple generations. It is now more than 200 years since Mennonites settled in large numbers in Ontario. In the smaller communities of Markham and the Niagara Peninsula, the use of the Pennsylvania-German dialect has died out, but the Old Order horse-and-buggy Mennonites in the area northwest of Kitchener-Waterloo have continued to use the German language in their homes and for worship. Their language helps to keep them separate from the rest of society, but their dress, private schools, belief in the importance of tradition, and their strong sense of community also help to foster a distinctive Mennonite identity. It is interesting that the language of instruction in their schools is English and that reading the German Bible and hymnbooks is challenging for them. Their language of correspondence is English. It is only in closed Mennonite communities that emphasize tradition that the German language continues. But even the Markham-Waterloo Mennonite Conference, a group that broke from the Old Orders in 1939, is slowly losing the language battle. It began with a mixture of German and English hymns, but now uses only English. The present generation of children includes some who are not fluent in the Pennsylvania-German dialect. This group works together with the Old Orders in running private schools where there is some German language instruction, but it is a challenge to learn the German Gothic alphabet in order to read the old-fashioned German in the hymnbook. Maintaining an old language for worship runs the serious risk of having people lose comprehension of the words of faith. The Old Order Mennonites have mostly avoided this trap by using the language of the people for preaching and using English for the many times they sing outside of church. They do not discourage the use of English for Bibles in the homes, devotional reading and at school. While fiercely holding on to their traditions, they have accommodated on some things and never categorically made language a defining issue for faith. When the language of worship does change, it is usually a process of many, many years because it means the loss of what is traditional and familiar. The hymns and Scripture passages lose some of their comfort and meaning when they are expressed in what feels like a foreign language. Changing the language of worship can be a real test of love, but 50 years later it is sometimes hard to remember what all the fuss was about. 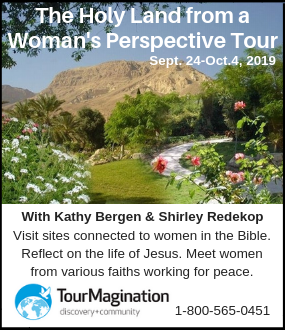 Barb Draper is a member of the Mennonite Historical Society of Ontario and the author of The Mennonites of St. Jacobs and Elmira, Pandora Press, 2010.